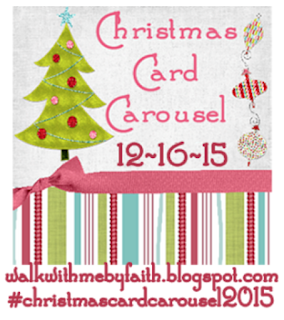 A Page Is Turned: Christmas Card Carousel. I'm linking up with Faith once again for another year of Christmas Card Carousel. I LOVE our Christmas card this year. SO love it. I thought I was going to hate it because I took the picture all by myself. I ALWAYS say I'm not going to hire a photographer because I can do it myself and then I regret that in November so I'll scurry around and get one at the last minute. Well, I didn't get to do that this year so I just snapped this in our backyard and I LOVE it. Thank goodness! 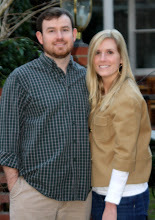 I got a postcard this year from Minted and they were a cinch! No stuffing envelopes and the stamps are cheaper. The downside is that Christmas postcard stamps are hard to find! Look at those cuties! I love the postcard idea too. So cute! Thanks for joining in the fun! I hope you have a very Merry CHRISTmas! 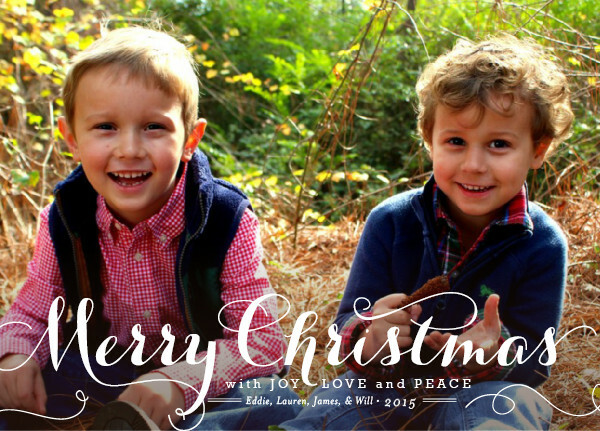 Your Christmas card and boys are PRECIOUS! Hopping over from Faith's blog to see your card. What a delightful photo! I love it!! !